November 26 with the Christmas Thyme digital images. I colored the amaryllis image with pencil. What a beautiful card, Hetty! 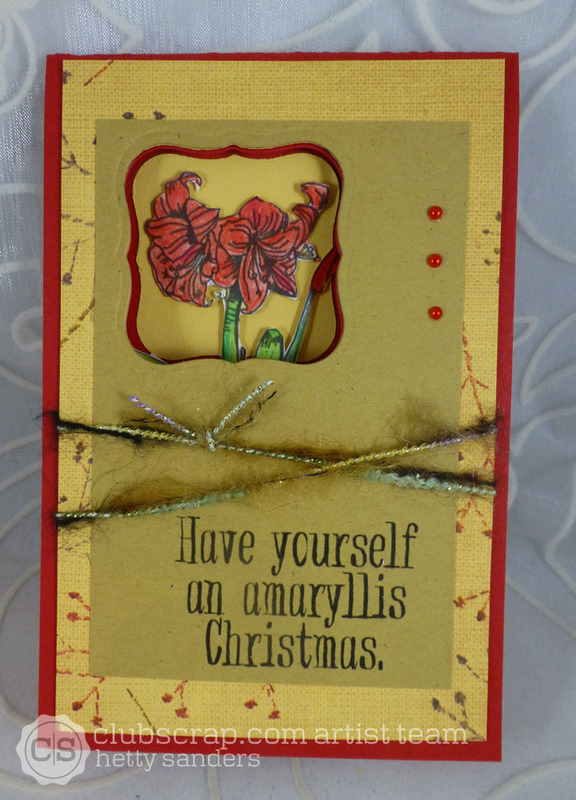 My Mom loves the amaryllis! The inside is as gorgeous as the outside! Beautiful! Wonderful coffee cards, Hetty! 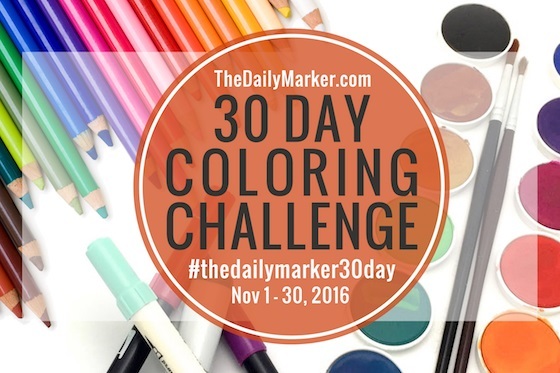 You're still doing great with the colouring challenge! The cups look beautiful! 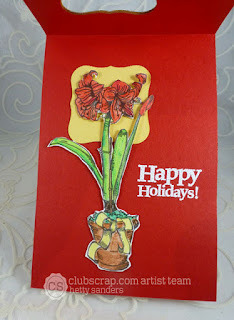 Love the cup paper on the first card too! What a totally difefrent Christmas Card Hetty - love it!! That is a very unique Christmas card. I like the way you made the sentiment fit the image. 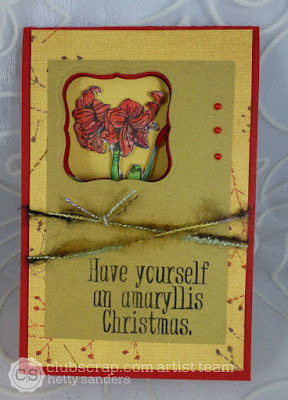 Great idea, love your colouring and card.